‘Ello Govna! Something shiny showed up today. 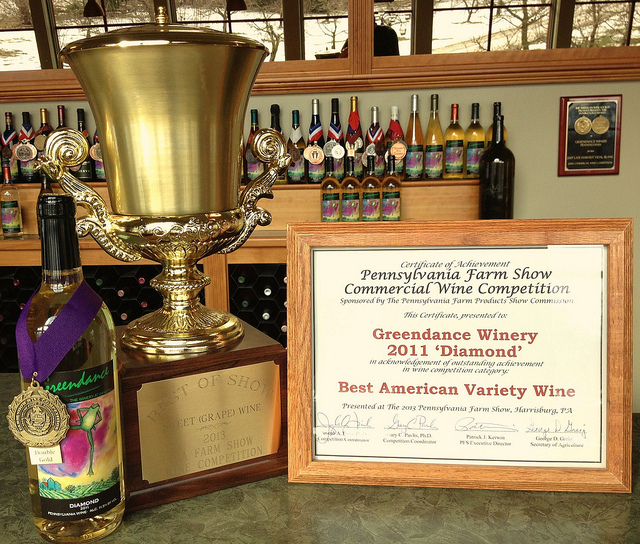 Our Diamond ’11 won the Governor’s Cup for Best of Show, double gold in Sweet Grape Wine, and was also chosen as the Best American Wine in the 2013 Pennsylvania Farm Show Wine Competition. Great thanks to our winemaker Walt, and our wine technicians Robert and John!